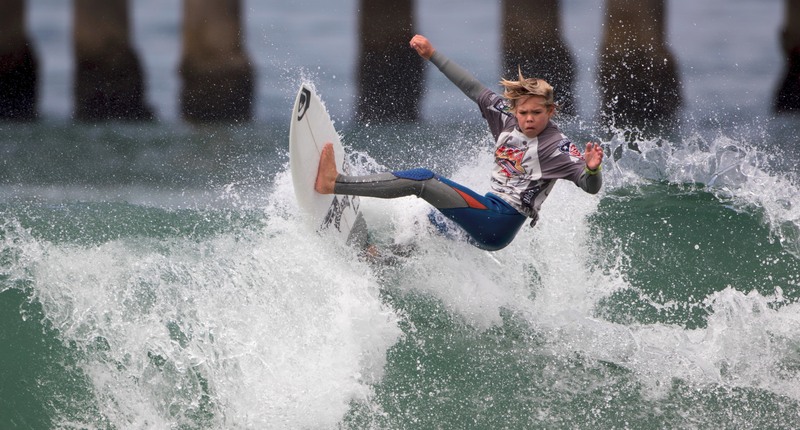 Taj Lindblad, 12, of San Clemente marked an important milestone in his surf career Saturday when he made it into his first ever Surfing America Prime series final in the U14 division and a fourth-place finish in the event. He kept the momentum going throughout the event and on one of his best waves of the day, Taj was able to link his ride through from the outside earning a 6.8-point wave. 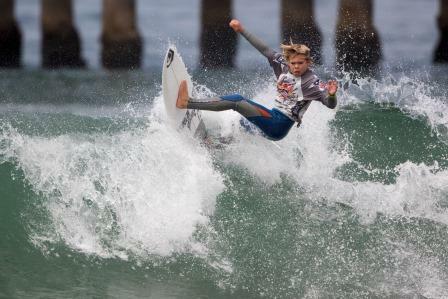 Taj also competes in NSSA and SSS events as a part of the Shorecliffs Middle School surf team. School is a priority for Taj, as good grades translate into being allowed more time surfing. This year, the bright sixth-grader earned a 4.0 GPA in the first quarter, 3.83 in quarters two and three, and is giving it his best to finish out the year with another 4.0. Taj has been surfing since he was a toddler and a professional career has been on his radar since he started competing. Taj would like to thanks his sponsors, Quiksilver, Oakley, Lost Surfboards and Modom Traction, along with his family and coach Neco Padaratz for their support. TRAVEL: Taj went to Hawaii twice this year and will travel to Nicaragua with the Quiksilver team in June for training and photos.